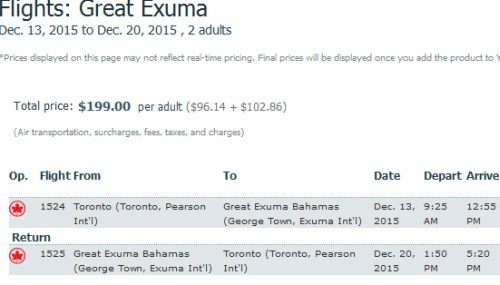 Air Canada Rouge is selling off some last minute seats to Great Exuma Island, Bahamas (GGT) for $199 CAD roundtrip including taxes. June 26 to July 3 -- new! Update #1: Dec 8 @ 6:00 PM EST - Seems to have sold out. Update #2: Dec 10 @ 4:42 PM EST - AirCanadaVacations.com is still showing this deal as sold out, but it's bookable through FlightHub. Update #3: May 5 @ 8:34 AM EST - June dates have now dropped to $199 CAD roundtrip including taxes. Use the same dates as shown above. 3. The search may initially come up as $248 CAD. It will drop to $199 when you click through to the next screen. 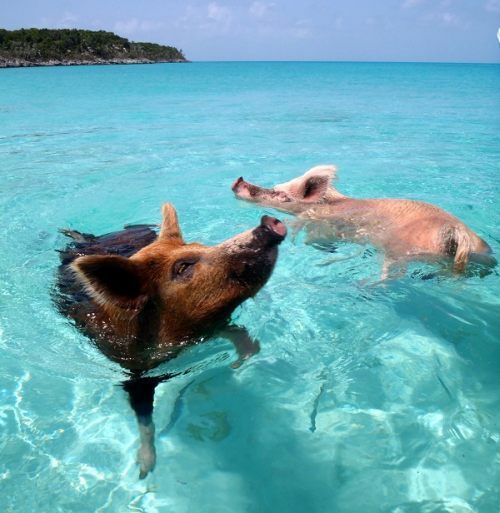 Yes, this is the home of the swimming pigs. But where to stay on Great Exuma that won't break the bank? There's actually even a few in the $70s and $80s, but with no reviews. You could also try VRBO, which is showing 3 properties for under $120 USD/night. 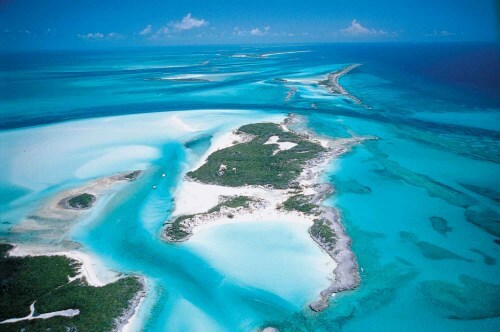 Just run a search for Great Exuma when you get there. After you hit Search you can apply the price filter.